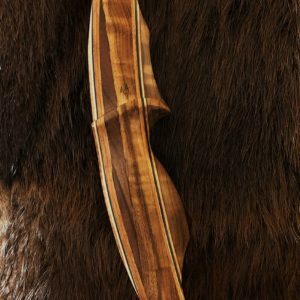 St. George Traditional Bows is a partnership between Paul Mykut in Pennsylvania and Dean Miller in Utah. 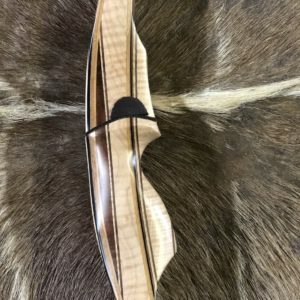 Paul has been in the archery industry for 35 years and was the founder of Keystone Traditional Bows. 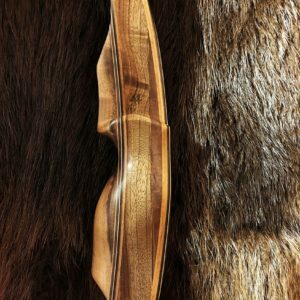 His bow designs have won praise across the industry. 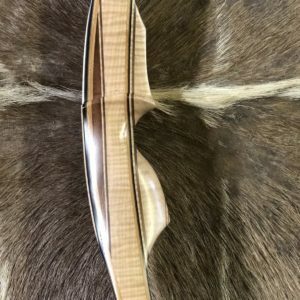 Dean is a custom bow builder who “flies under the radar,” but builds highly crafted bows with impeccable fit and finish. 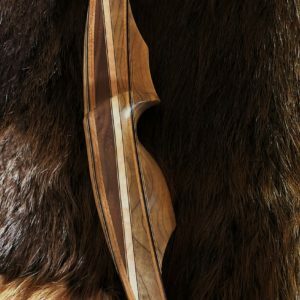 The St. George Escalante is a 62” reflex/deflex longbow with a generous riser for good center mass and thumb rest for comfortable, consistent hand placement. 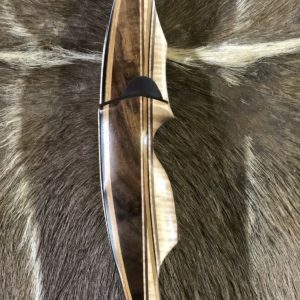 The bow is super fast, quiet, and versatile. It’s equally at home in a whitetail treestand, a western spruce-fir forest, or on the competition circuit. The Escalante is named for the Grand Staircase-Escalante National Monument in Utah. The region is one of the most beautiful and remote places in the U.S. Its 200+ million-year-old cliffs, bluffs, and canyons are a wealth of geological and paleontological history. From low-lying deserts to coniferous forests, the Escalante region feels like a place that’s still on the wilderness frontier.